The future is uncertain for Dragon Ball Super’s Son Goku and Vegeta as they face an enemy whose powers are superior even if they band together. So what would happen if an evil and ambitious being gets ahold of the Super Dragon Balls? It would absolutely spell disaster, and a little bit of a Freaky Friday phenomenon. 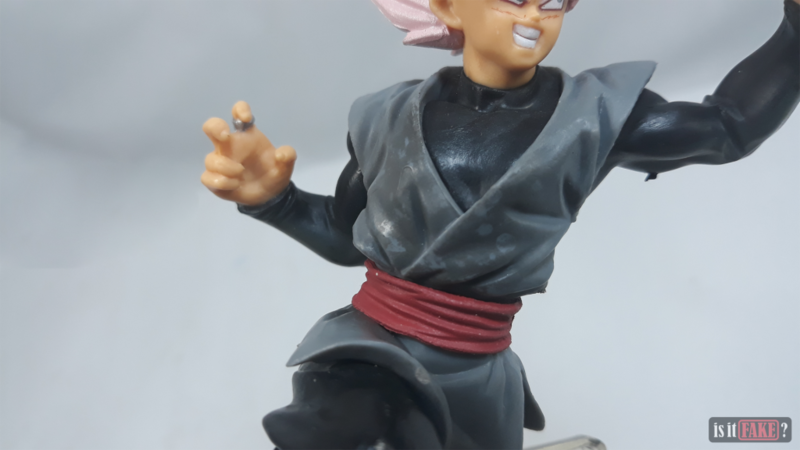 Goku Black is hateful of mortals which brings up the personality of Zamasu, a Supreme Kai candidate. He knew Son Goku is a strong mortal and couldn’t believe that such a being is superior than him. With utter envy, he got ahold of the Super Dragon Balls and wished that he switch bodies with Son Goku stealing it from him. 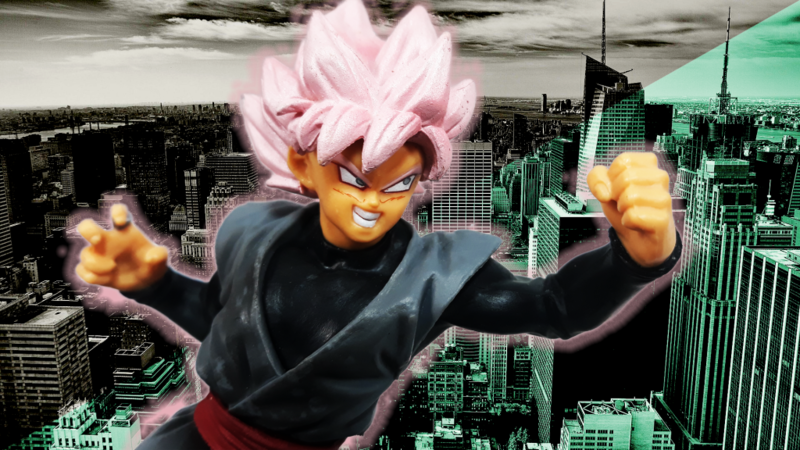 And thus, the future timeline of Universe 7 is in shambles once again as Goku Black works together with Future Zamasu to extinguish humankind. 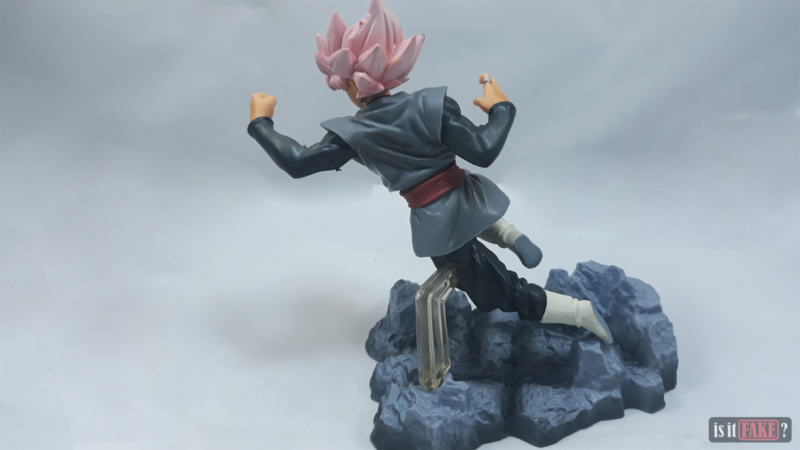 Another Dragon Ball Super saga that’s brought Banpresto new iconic characters to work on. 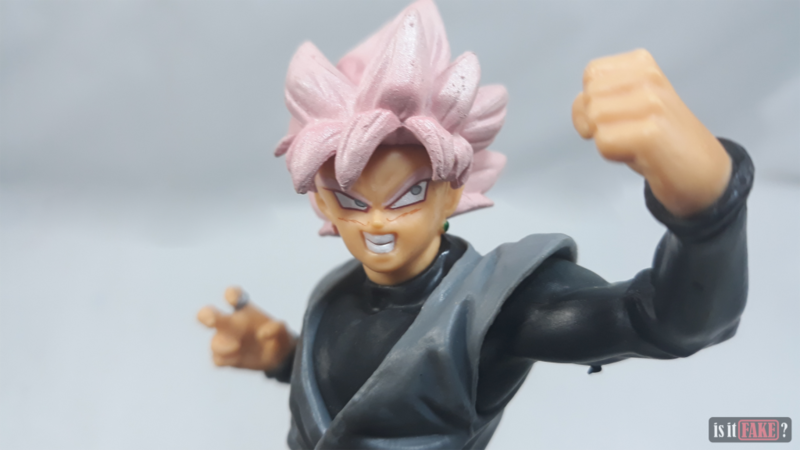 With a complete new approach on Son Goku’s details, the Super Saiyan Rose Goku Black carries out a new perspective on the anime series’ main protagonist. But there are those who would blatantly ruin such a stunning figure if it’s none other than the bootleggers! 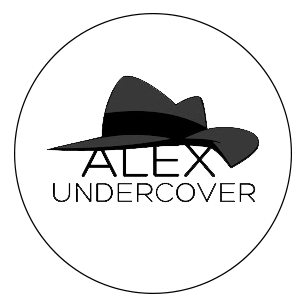 In the shady depths of AliExpress, there are numerous bootlegs that are being spread across the globe. It’s horrifying to think that one day you might have one at your doorstep unexpectedly with a hint of disappointment, and much more of a regret once you find out about the seller. Now, anyone can be called mark, but if this bootlegger will be openly selling fake items, they should have at least come up with a creative store name. For a name that’s overused, they sure put up a lot of fake items that are not even worth their price. You’d be better off if you’ll stick with authentic figures. 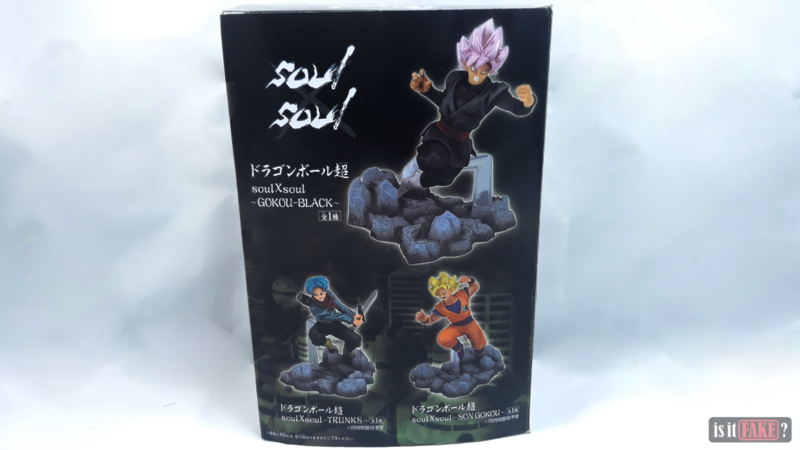 Needless to say, the fake Soul X Soul Goku Black figure will most probably give you more ideas of what we’re talking about. 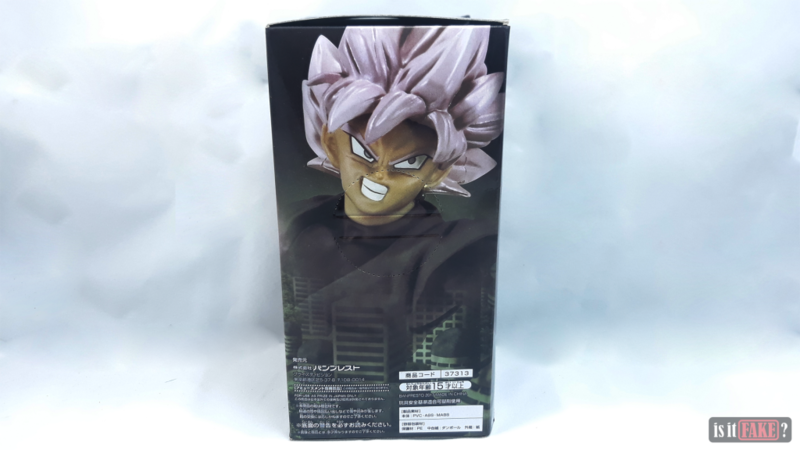 The fake Soul X Soul Goku Black figure comes with a branded packaging that’s seemingly fine-looking at a quick glance. No one would ever suspect it especially when a research wasn’t done firsthand. 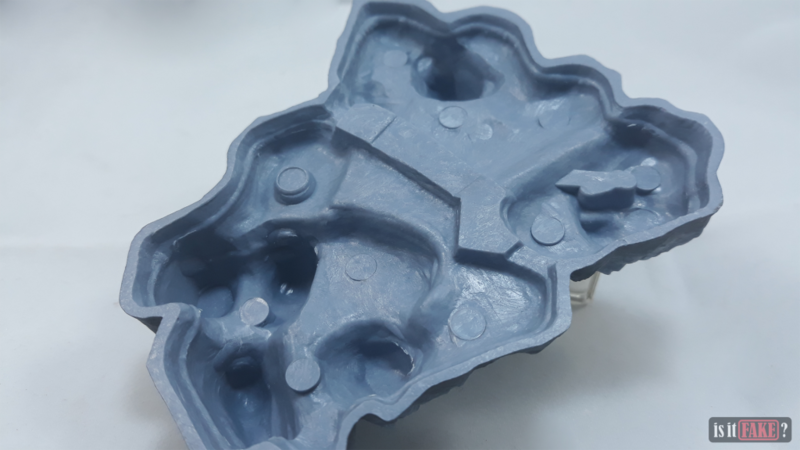 With a turn of the box here and there, you’ll notice that the box’s images has an odd quality especially from the sides. Looking closely, the images are faded and dim. And after a thorough observation, you must have realized that important brand logos are missing. 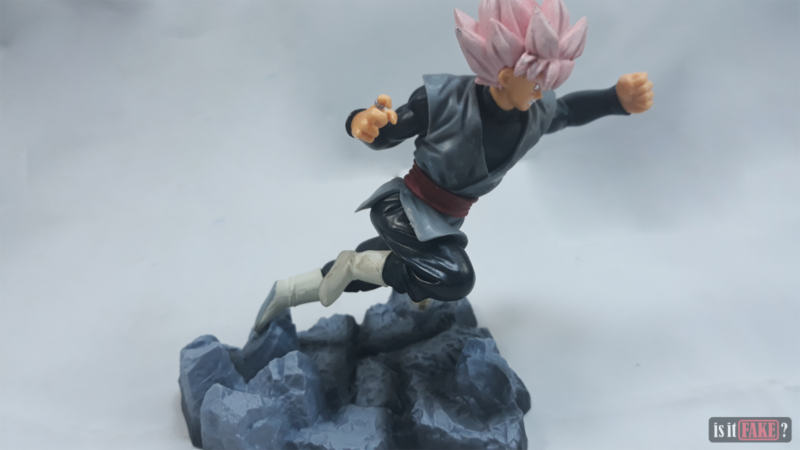 The real Soul X Soul Goku Black is created by Banpresto. 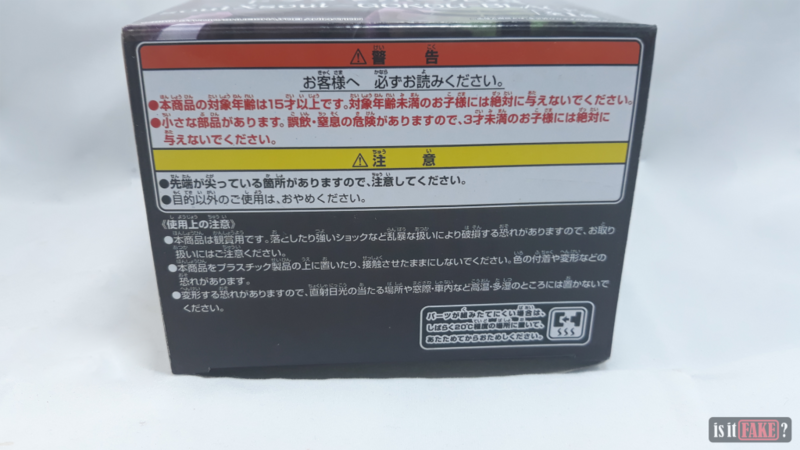 Therefore, it should have a logo of Banpresto on the front of the box as where the logo is mostly found. 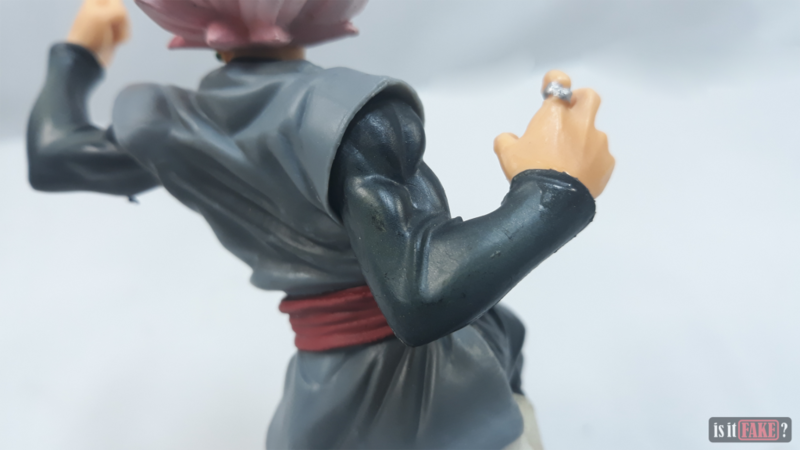 And since the figure was created as a prize, it would have the Crane King logo that’s usually on the opposite side of the Banpresto logo. 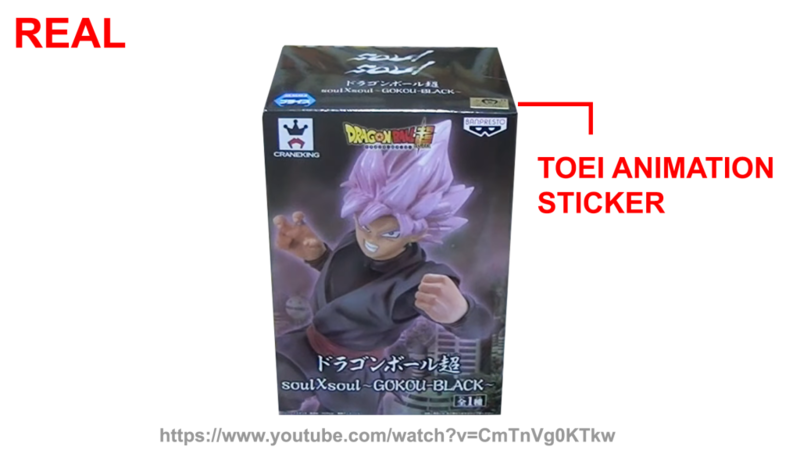 Lastly, a figure licensed by Toei Animation would also have a sticker of authentication found on the box. 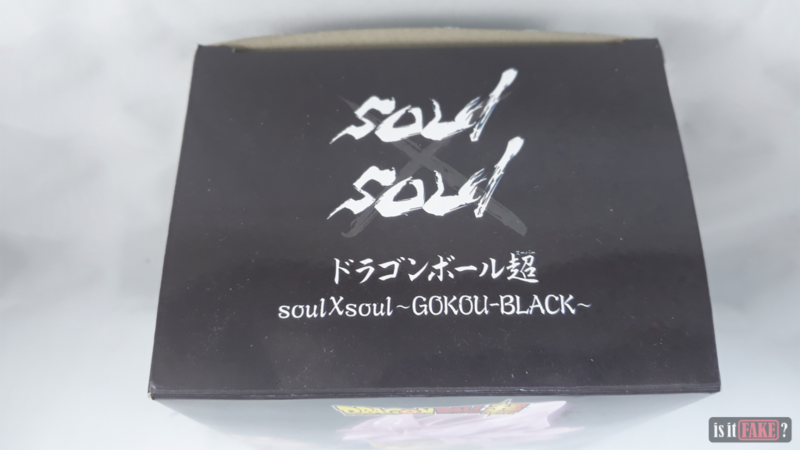 Upon opening the box, the fake Soul X Soul Goku Black reeks of unpleasant odor as it’s wrapped in a zip lock while the base is inside a feeble plastic. 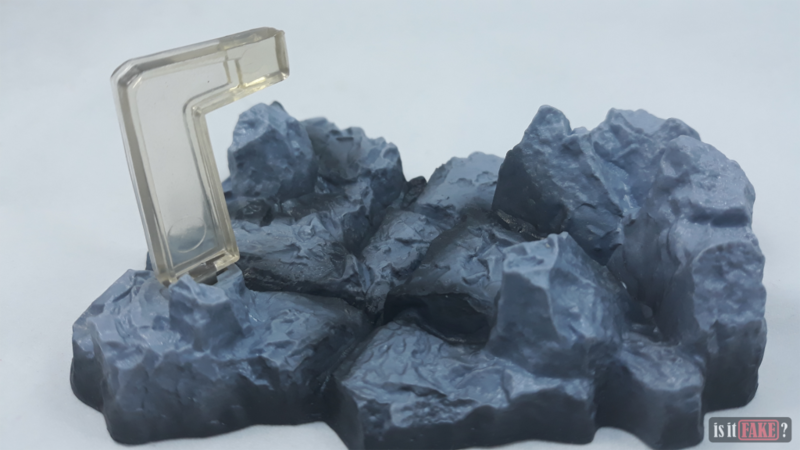 Aside from the awful presentation, the base comes off with a rocky design however its surface gives off powdery particles when wiped with your fingers which is definitely a red flag for bootlegs. 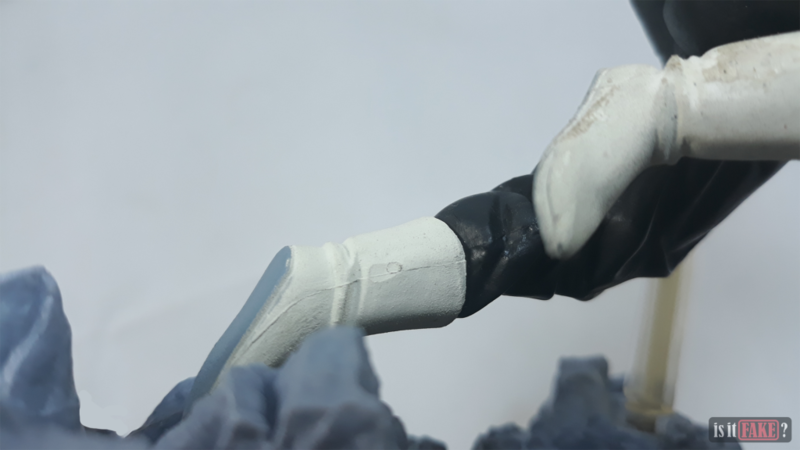 Another odd thing about the base is that the attachable is a little bit grimy. 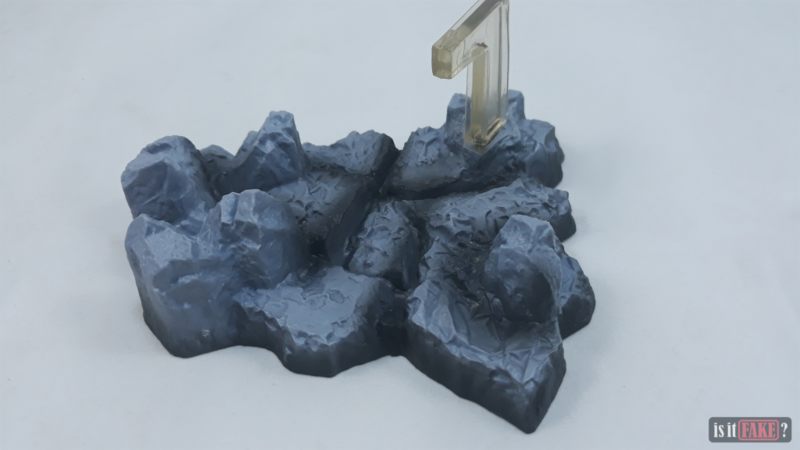 To sum up with the base, it doesn’t have any imprints of sort under it. 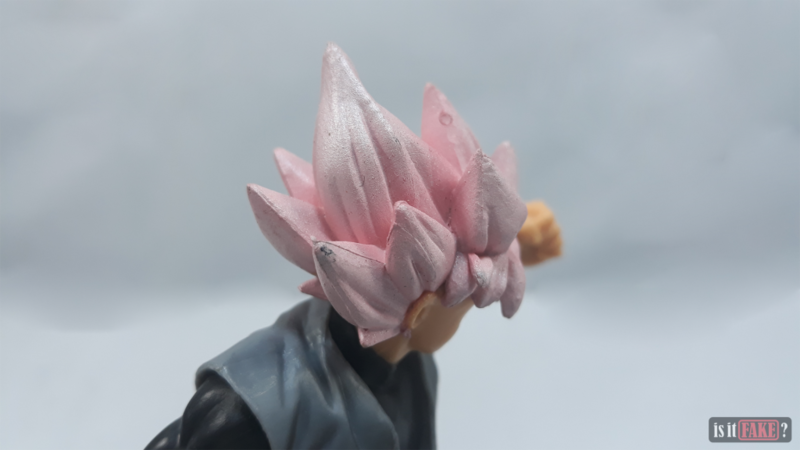 Much like the base, the fake figure itself gives off a powdery texture especially on its hair. 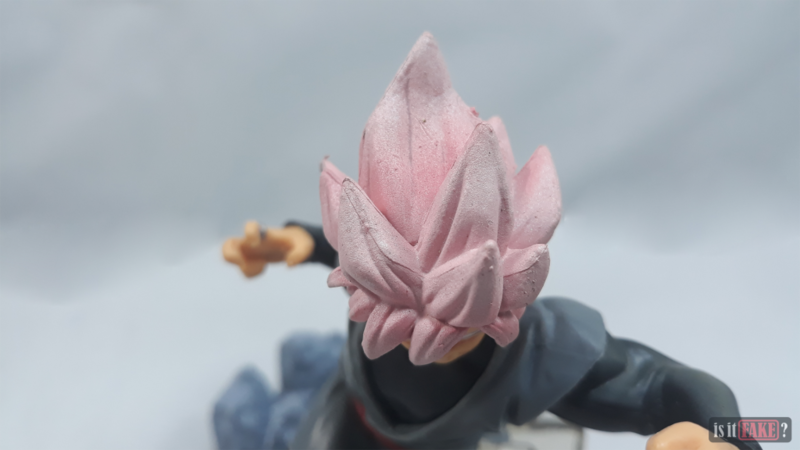 Although the color of the hair does deliver a resemblance on Goku Black’s Super Saiyan Rose, the defects stand out the most; scratches and bumps, noticeably. Aside from the terrible glittery effect, its hair also has a rough texture that puts you off whenever you touch it. Most probably, the paint used on it could be toxic. Moving below, its facial features gives about an improper asymmetry. For one, the pupils don’t balance out and looks unrealistic. 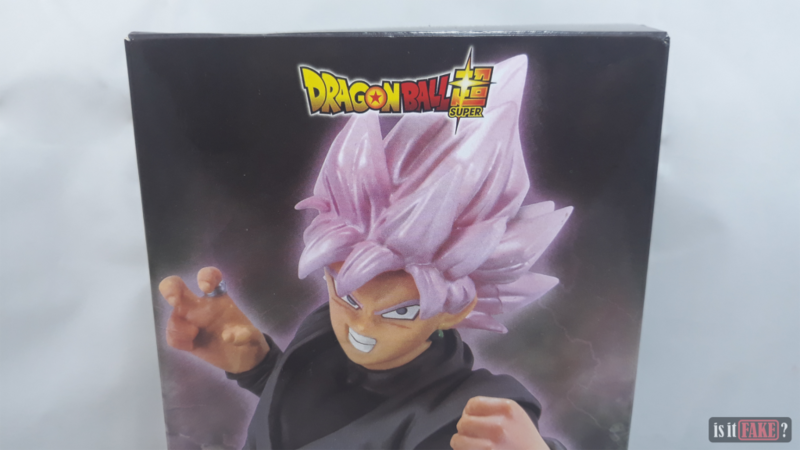 A perfect comparison if you stumble upon this fake Soul X Soul Goku Black figure is the images on the box itself. While the face was carelessly painted, there are several unremovable stains on its clothing which looks like faded paint. Apart from that, edges seen point-blank are present. The shading on its arms look as if it was rushed. 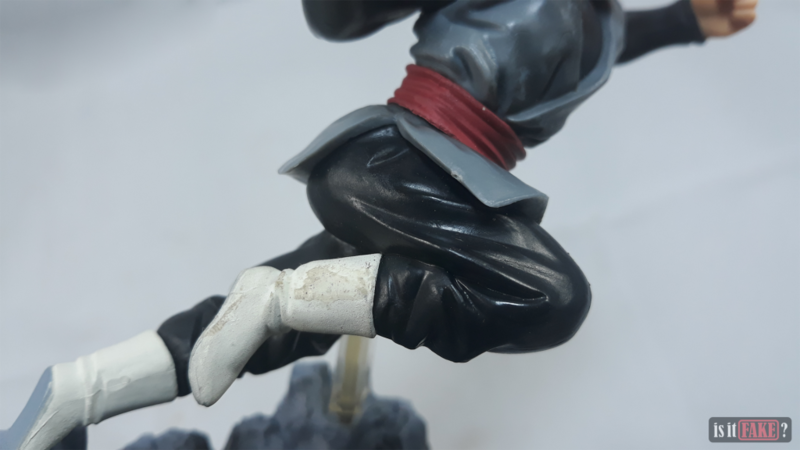 A few spots similar to the fake figure’s front clothing can also be found. 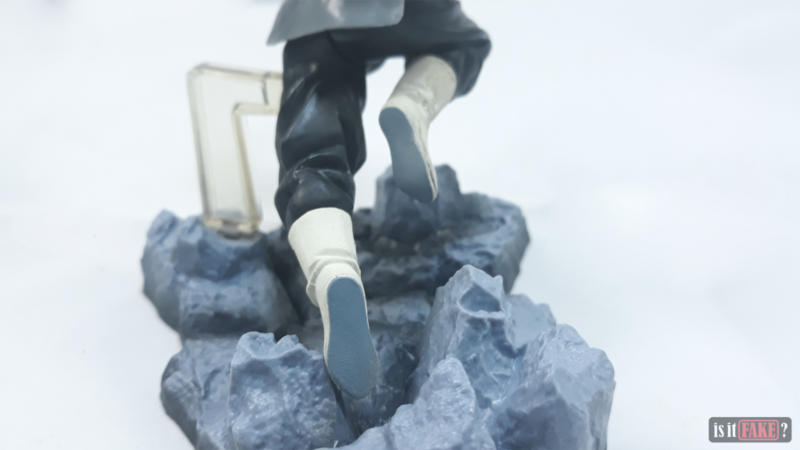 If you’re still having a good time with the fake Soul X Soul Goku Black figure, then you’re in for a huge disappointment when you see its shoes that’s full of stains. It also looks like that there was a sticker on them resulting the stains. The fake figure, though, does a slightly good job on holding itself to the base and the attachable. 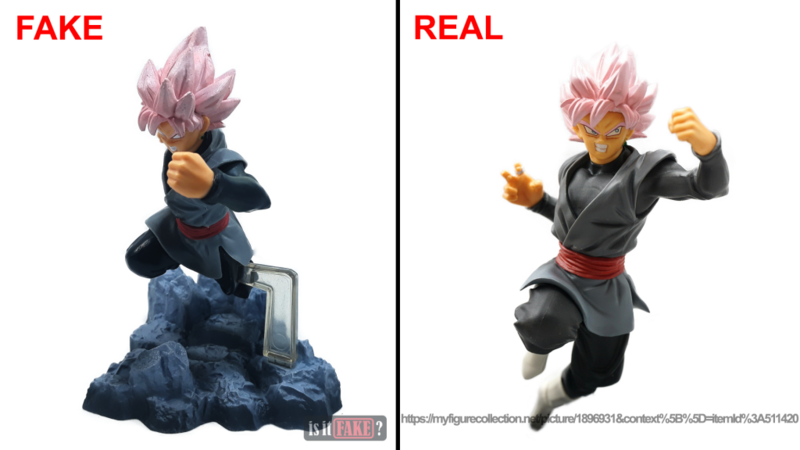 That is why it would easily fool someone into buying a fake Soul X Soul Goku Black figure. 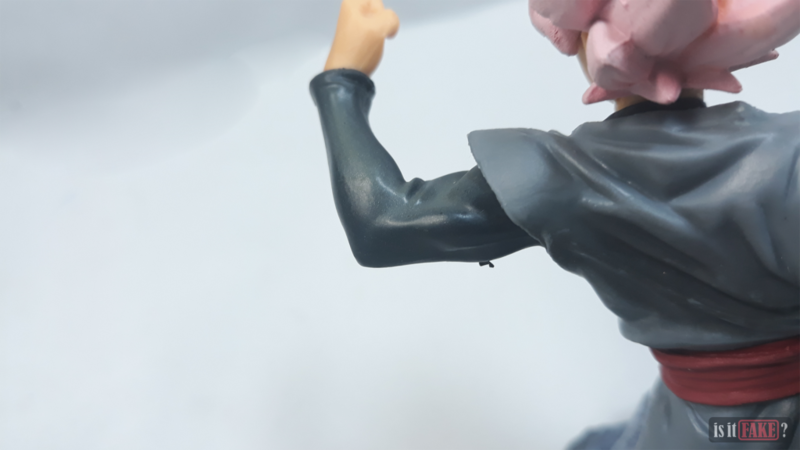 Another flaw regarding the fake figure’s pose is that it lunges too much blocking its frontal features. Regardless, a lot of flaws are evident enough to distinguish one from the authentic. 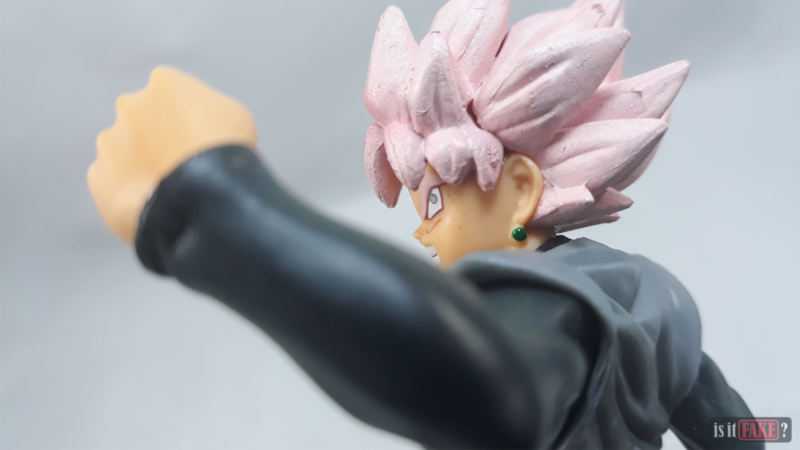 Looking at the real Soul X Soul Goku Black figure by Banpresto, we witness a brilliant finish on Goku Black’s Super Saiyan Rose. 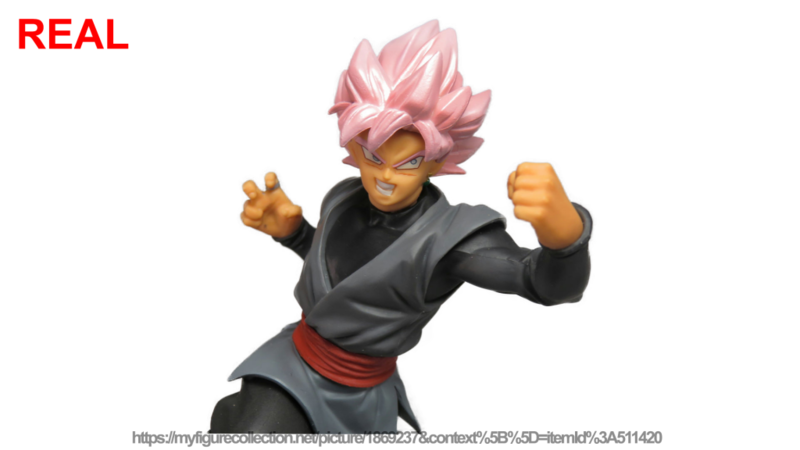 The outer clothing of Goku Black has a darker shade that complements with its inner clothing. 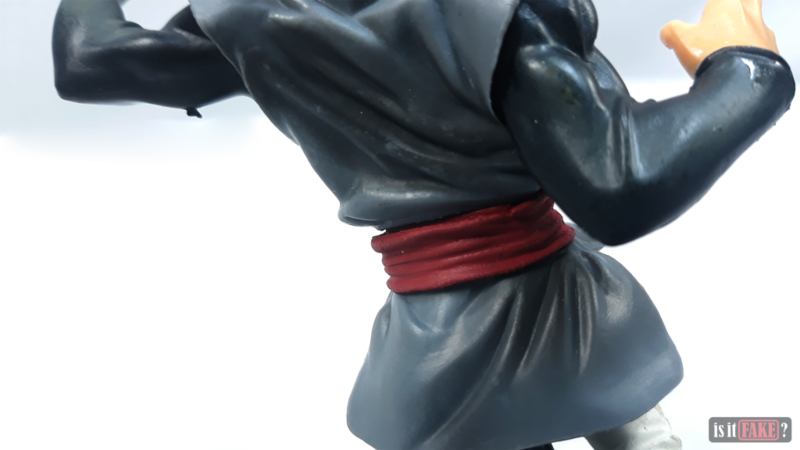 The belt also has a sharper color of red than the fake figure. 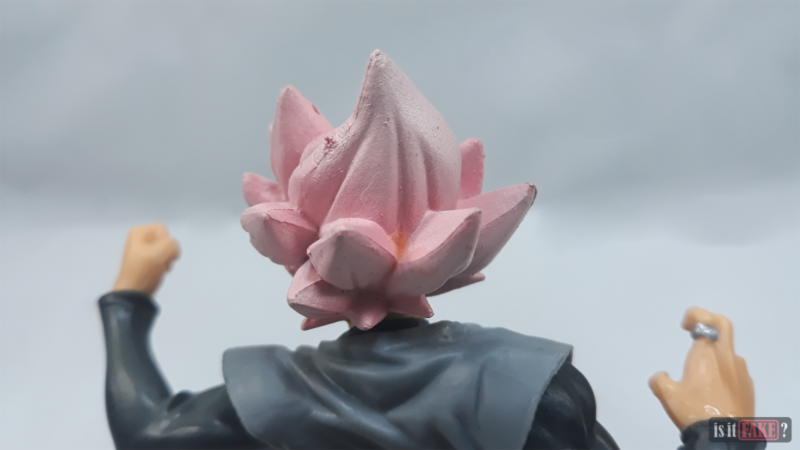 Lastly, the base of the real figure looks more solid compared to the fake. 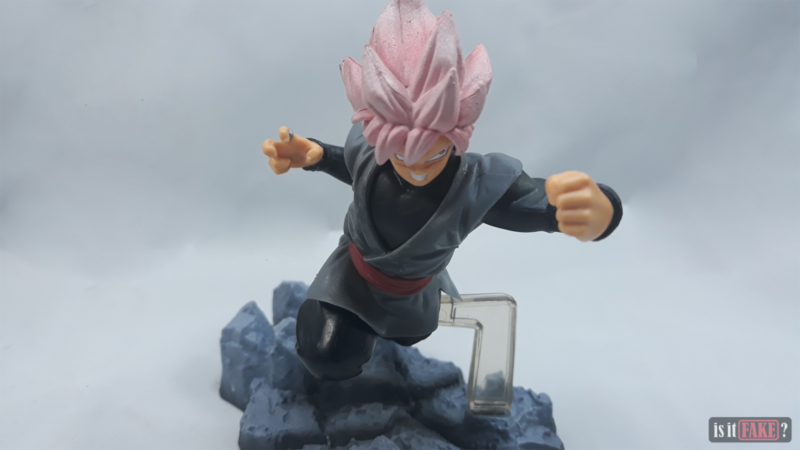 Nevertheless, the real and authentic Goku Black figure answers for its affordable price. 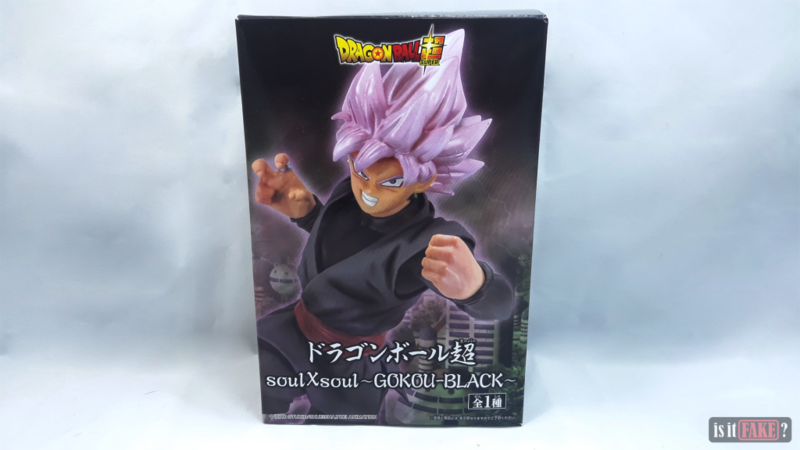 As expected for a price of approximately $5.70, the fake Soul X Soul Goku Black figure delivers a rushed and flawed design. 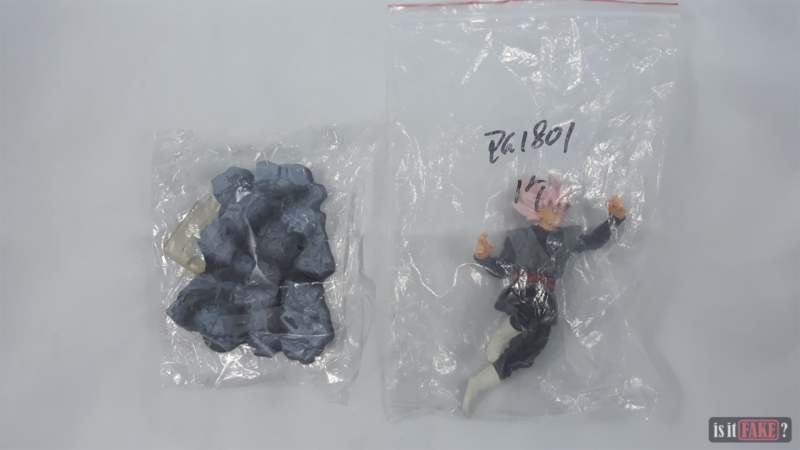 Your cash is better off spent on another batch of authentic figures. Your coverage for this item’s shipping fees would definitely be wasted. 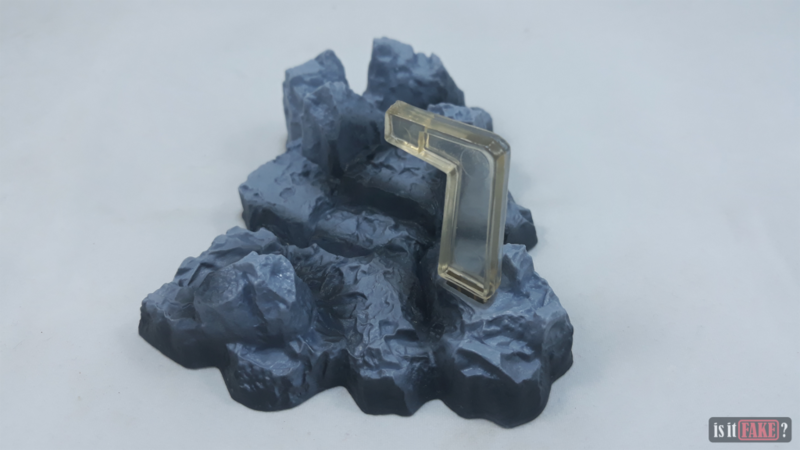 The amount should be able to grab you some chances in the toy crane where most Crane King figures are obtained. 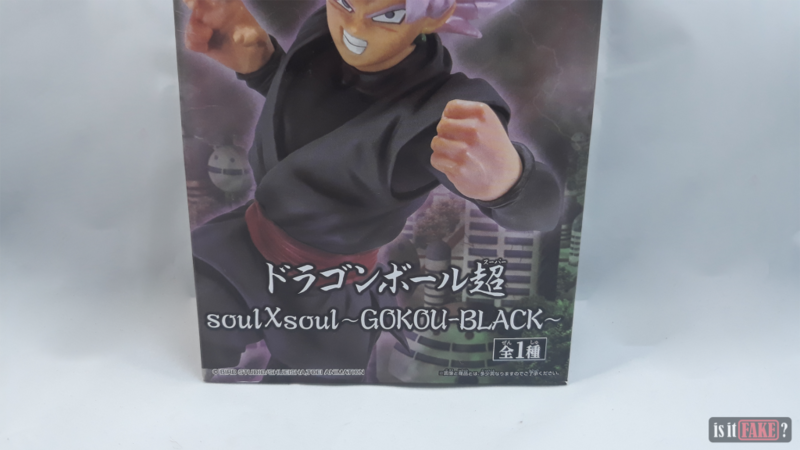 The real Soul X Soul Goku Black figure goes around for $22 and above. Even less if you’re going to get the Soul X Soul bundle from reputable websites. 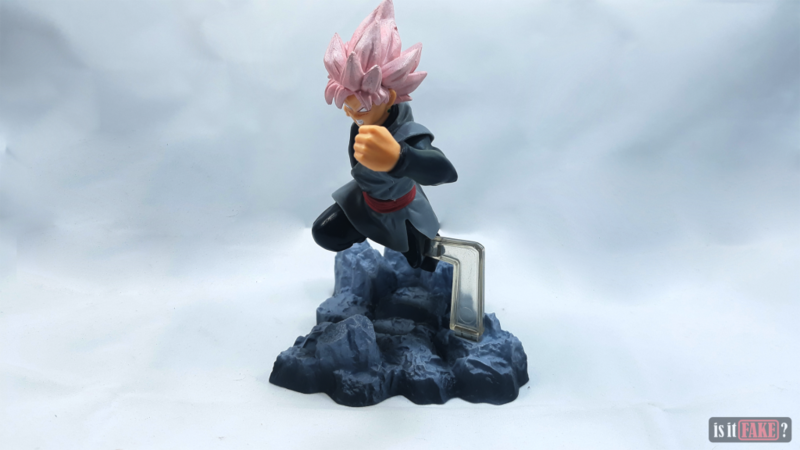 For a figure whose price is equivalent to branded clothing, it’s definitely worth adding to your collection of Dragon Ball Super figures and would look even more stunning with the Soul X Soul figures altogether. 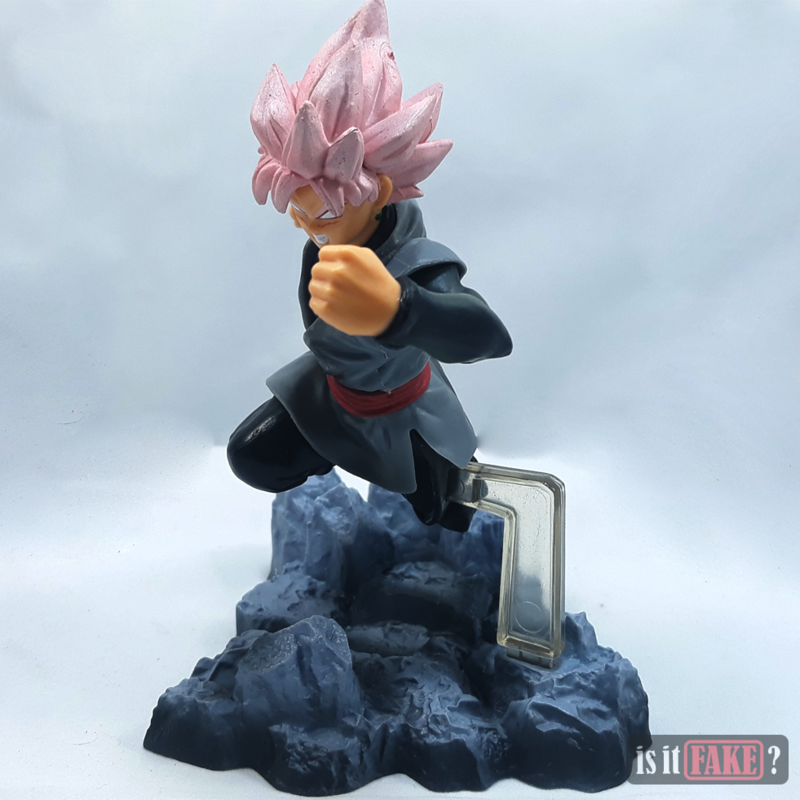 As a figure that was released in 2017, the Soul X Soul Goku Black figure is still available in a few well-reviewed websites that sell various figures. One of these websites would call for BigBadToyStore. 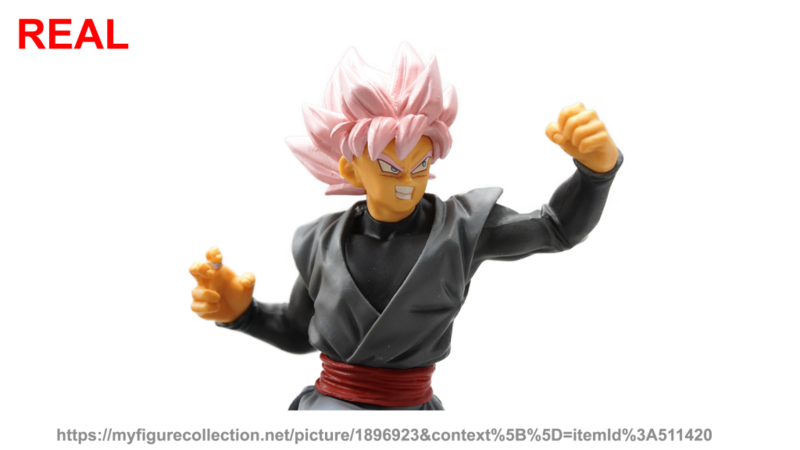 Although, sad news, the specific figure that we’re looking for has long gone out of BigBadToyStore’s shelves. 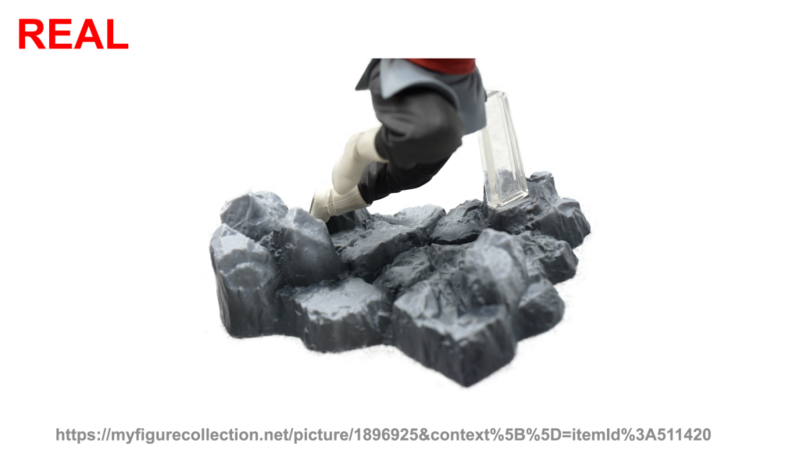 However as the figure is still posted, we already have an idea how much the real figure costs so keep your hopes up when the website has decided to replenish their stocks. 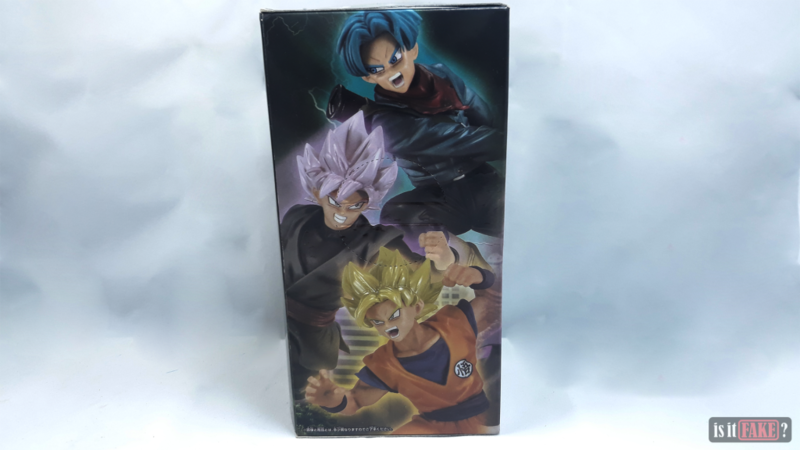 Fortunately, the Soul X Soul Goku Black figure is still available in a bundle, however, altogether with the Soul X Soul Future Trunks and the Soul X Soul Super Saiyan Goku figures at Ninoma. For a price of $50.32, it’s a totally great deal since the price for individual figures would definitely slap the faces of bootleggers. 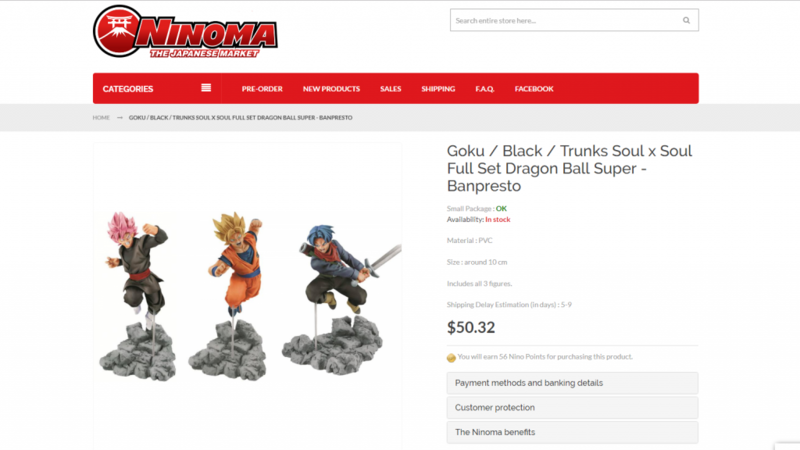 Don’t hesitate to check out Banpresto’s physical shop locator as it would really help you get a run down of the manufacturer’s partner distributors and retail stores. It’s also great and relieving to start with physical shops if you’re doubtful about shopping figures online. 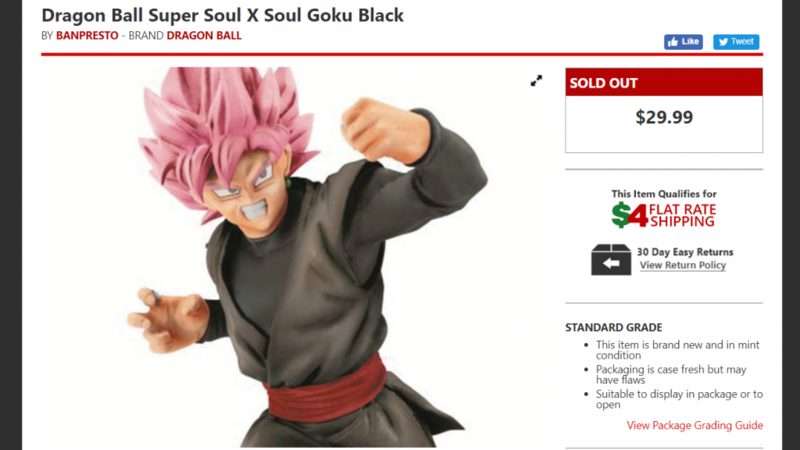 The fake Soul X Soul Goku Black figure is far from a worthy figure. This filthy bootleg is filled with spots and undesirable plastic lumps that make it at least worth the scrutiny it has just faced. Your wallets are better off being opened up on authentic items as this fake figure would literally just steal from you. After all, this bootleg’s only worth is to be slammed with a 75% terrible rating. 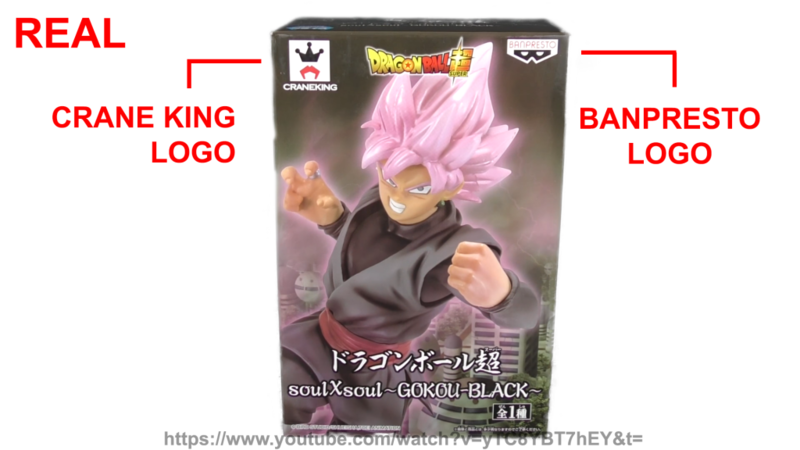 Watch how we unboxed this fake Soul X Soul Goku Black figure and be more wary with bootlegs on our Youtube channel. Don’t forget to leave a like, comment, and subscribe!